It’s fun to make websites. It’s even more fun to create them from whole cloth, breathing life into an original piece of work. Case in point: Autodesk’s Line//Shape//Space blog. Longtime Noble client Autodesk saw an opportunity to increase its customer base when the profile of the firm using its software changed to reflect smaller firms specializing in design and drafting. Many of those firms had no relationship with Autodesk and did not understand the full value it could provide their businesses. Autodesk decided to get conversational. The heart of the plan was to start a conversation and provide valuable resources to help small business owners grow, become more efficient and ultimately allow Autodesk to rightfully maintain its position as a thought leader within its industry. Noble Studios worked with Autodesk to bring this resource, Line//Shape//Space, to life. The business blog primarily thrives as a hub for sharing advice, marketing guidance, financial and business-operations tips, customer stories and software tricks. Based on Autodesk’s desire for a new blog, Noble’s team set out to sketch initial designs. With the sketches approved, we created a more visual wireframe of the site. 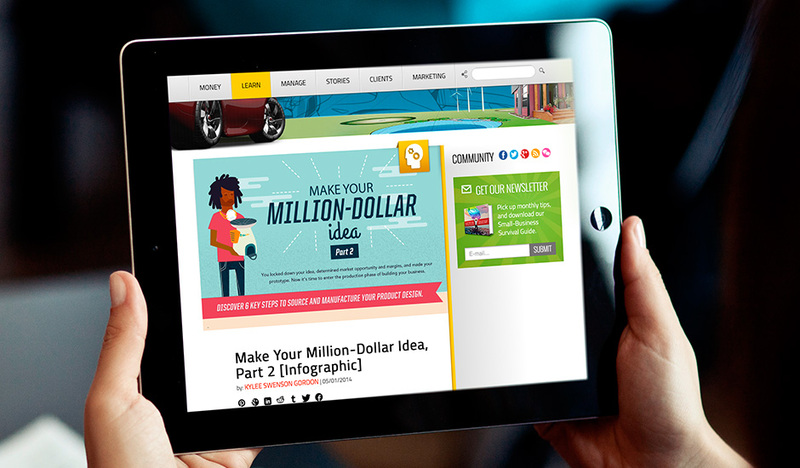 The final website design reflected Autodesk’s need for a sleek, modern site for sharing business tips. 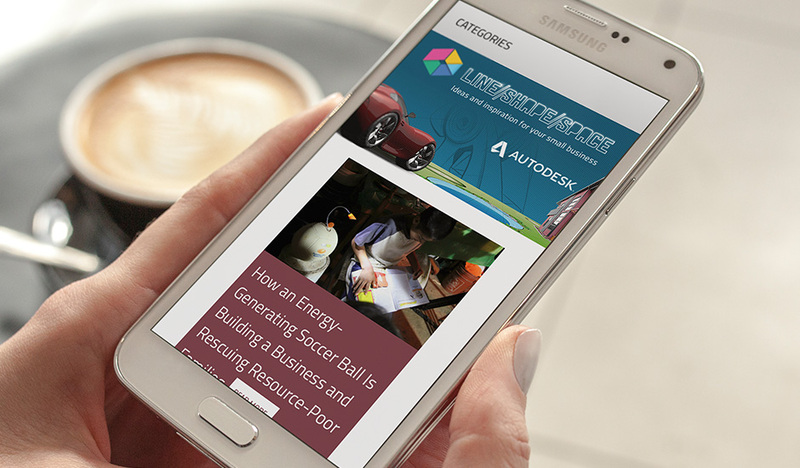 Noble Studios designed and developed an engaging, content-centric business website for Autodesk. Line//Shape//Space has since become one of the most prominent and highlighted websites within the company. The visual assets draw people deeper into the site while providing an optimal experience across mobile devices, tablets and wide-screen layouts. Our team built the responsive site with WordPress as the backend content management system to allow multiple content creators to write and publish articles. Line//Shape//Space is not only a point of content distribution, but lead acquisition as well. 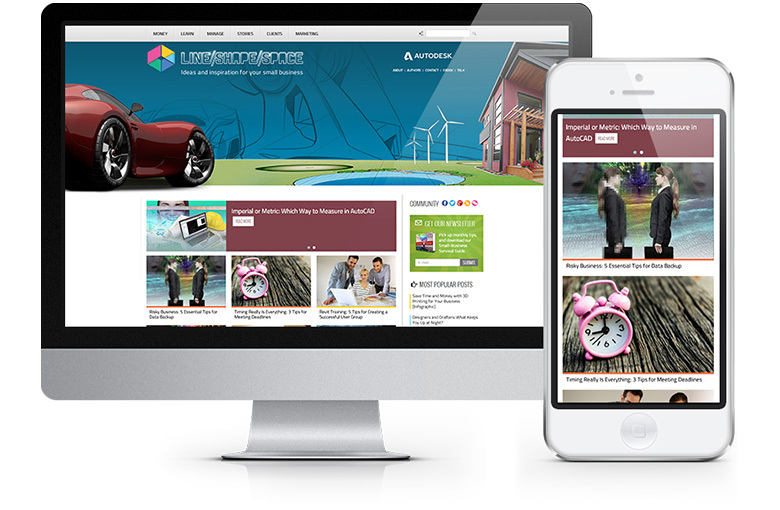 The site is integrated with a sophisticated email strategy to keep the website top of mind for its users. A year after launch, the website attracted more than 180,000 unique visitors from over 190 different countries. Noble Studios and the Autodesk team created a robust digital dashboard to show the different channels and sources driving traffic to the website, which sources led to the most user engagement, and what specific content was most effective at converting visitors to newsletter subscribers. This allowed Autodesk to keep a finger on the pulse of the different strategies and their effectiveness; providing an opportunity for agile optimization of content and marketing campaigns. Both companies also launched and managed several content marketing campaigns with the Outbrain content syndication network to help drive additional traffic. After the first campaign, Line//Shape//Space saw a 244 percent increase in unique visitors, a 207 percent increase in website visits and a 174 percent increase in page views. While increasing traffic and engagement was the primary objective, the campaign also delivered a 40 percent increase in the number of users signing up for a newsletter. A year after launch, the website attracted more than 180,000 unique visitors from over 190 different countries across the globe.